The intent of a compare and contrast essay is drawing a parallel between two subjects and explain their similarities and differences. However, just listing two subjects’ common points and distinctions is not sufficient; it's necessary to do it in a meaningful way so as to answer the question "So what?" If you choose a suitable topic for the compare and contrast essay, you should be able to answer the question "Why should I care about this?" This means that reading your essay would add to the body of knowledge and that readers could benefit from it in some way. Examples of compare and contrast essay will be provided here so you could get a clear picture of how to write it correctly. 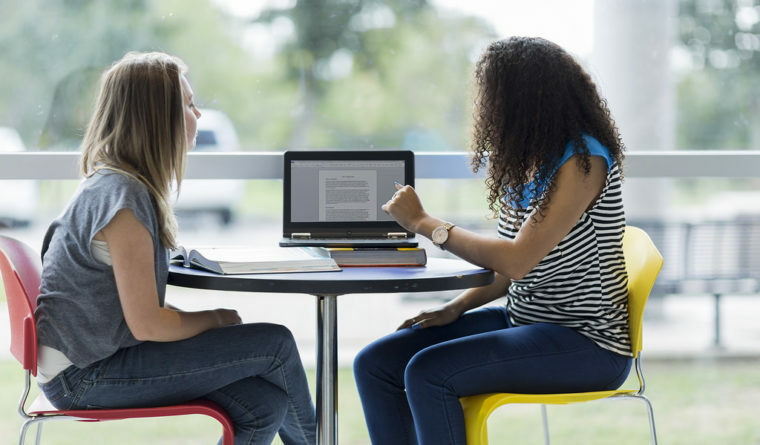 As the compare and contrast essay samples provided here demonstrate, apart from choosing to compare subjects interesting to the audience, you must also match them adequately. For example, one can compare things belonging to the same category but being different in one significant element. Alternatively, one can match things that seemingly have nothing in common but share a surprising characteristic. It's also possible to put together two subjects that appear the same but have one crucial difference. After you have selected the subjects, the next step involves brainstorming to find as many similarities and dissimilarities between the two as possible. Listing them on a piece of paper or even using a graphic presentation with overlapping circles is indeed helpful. The specificity of each subject would be written in the outer part of each circle while the overlap would list what they have in common. Of course, it's impossible to include every single characteristic of the subjects in the analysis so must choose the most important or the most controversial ones. No need to state the obvious either, just go with whatever you think will grab the readers’ attention and provoke the most debate. Early bird or a night owl: is studying for exams more effective during daytime or at night? Scientific studies show that student's brains are the most alert in the morning after a good night's sleep and a healthy breakfast. However, some people's energy levels only peak in the evening while they feel drowsy and lethargic most of the morning and take several cups of coffee to wake up fully. Being extreme night owls or extreme early birds is something found only in 20% of the population (10 % each). The remaining 80% of people are somewhere in between and usually adjust their studying routines to fit with their school, work, or social schedules. But is there such thing as the best time to study? One might argue that it is more natural to study by day because of the abundance of natural light which stimulates alertness and is less straining for the eyes. As human beings, we are adapted to a wake-and-sleep cycle that is dependent on the presence of daylight. As soon as it gets dark, we get sleepy. However, this is arguably a learned pattern which can be unlearned, as night shift workers would readily testify. Similar to some individuals preferring to work at night when it's more peaceful and less hectic, some students find it much easier to concentrate when most people sleep. This brings us to the next point worth considering: finding peace to study. This is much easier to achieve when there is not much going on around you. It's easier to concentrate when not many people are going about their business, making phone calls or creating noise in your vicinity. Naturally, this happens during the night. On the other hand, one might struggle to find a quiet spot for studying during the day; it might be in a library or even outdoors. Alternatively, a student can learn how to block out all the noise and stay focused in spite of all that's going on around him/her. Some might say that night time brings out the creativity in them, that the best ideas come to their minds once all the outside stimulation is turned off. But unless you are an extreme evening type that functions poorly in the morning, you can invigorate your creativity during daytime as well. Choosing not to have your smartphone with you or check out what's happening on social media every five minutes will help you concentrate on the task at hand. One can simulate night-time conditions during the day, and the creativity shouldn't suffer. Or your eyes, for that matter. Saying that there is a perfect time to study would be just as illogical as claiming that there is a perfect time for walking, listening to music, eating or anything else. Studying in the morning or at night both have their pros and cons, but ultimately, it all comes down to our personal preferences. Some people choose to spend their days sleeping or hanging out with friends and only start studying at night. Others prefer to get their studying done by early afternoon to have free time in the evening. All that matters is to find a rhythm that suits you the best and stick to it. This particular compare and contrast essay example was organized in the way that each point of comparison gets analyzed in both subjects before moving on to the next point. The intent of contrasting two subjects by a few well-chosen characteristics is entirely understandable, although switching back and forth between subjects can be somewhat hard to follow. Note that you don't have to discuss all the similarities and differences, just the most important few. In terms of how many points of discussion there should be, in a five-paragraph essay, it's customary to have one point per body paragraph, so three in total. In longer compare and contrast essay examples for college, there's no need to adhere to this rule of three strictly. As this is not a persuasive essay, you don't necessarily need to choose a side and then prove that it's somehow better than the alternative. You can, however, have an opinion and show it but also strive for balance in the amount of information you provide on both subjects. Sounding biased is something to avoid, and it's therefore prudent to stay away from derogatory language or overly negative statements on either of the subjects. Furthermore, as the compare and contrast essay sample provided here demonstrates, you should avoid writing in the first person and use the more formal third person. When composing a compare and contrast essay, start with a hook to grab the readers' attention. If your topic was adequately chosen, and you provide an adequate hook, readers will be interested to read your paper to the end. In our example, this is achieved by using phrases like "night owl" and "early bird" and by inviting readers to take sides. Almost everyone has their favorite time to study and can provide evidence of their own of its advantage over the other. That's precisely what you want them to do - to take part in the discussion. Everyone has heard the advice not to suppress your anger because it's unhealthy for your heart or because it will give you a stomach ulcer. You are supposed to find a socialized way to express anger so as not to hurt anyone or destroy anything but to release the pressure built up inside you. But is pent-up anger all that bad and conversely - is expressing it so beneficial for your health? Scientific evidence suggests that bottling up anger is quite harmful to your health. It can lead to increased blood pressure or contribute to developing ulcers. However, there are other predisposing factors for these conditions. These include a family history of heart or stomach disease and being overweight in the case of hypertension or infected with a particular bacteria in case of stomach ulcers. When it comes to psychological health, the situation is somewhat more severe. Keeping anger inside can lead a person to become chronically dissatisfied with their life, or develop anxiety or depressive disorder. This is because repressing something as powerful as anger uses up all our emotional energy and leaves us feeling exhausted and run down. Expressing anger might seem like a solution to your problems, but it doesn't come without dangers either. People who lose their temper often were found to be three times more likely to suffer a heart attack. Other heart diseases are also more common among those who can’t hold back from shouting and acting aggressively whenever they feel threatened in some way. The explanation for this probably lies in the autonomic nervous system arousal that occurs whenever someone expresses anger. This leads to a rise in blood pressure and other cardiologic reactions. So the outward expression of anger comes with health risks as well. How do we resolve this dilemma? Are you supposed to scream, shout and kick something whenever you feel angry or to keep calm and suppress your emotions? In reality, it's not as much about whether you get angry but how and how frequently this occurs. A sporadic angry outburst will probably not harm you, but nor will choosing to remain calm and composed from time to time when provoked by someone inconsiderate. This example serves the purpose of illustrating how a compare and contrast essay organized by subject is supposed to be written. The topic of health hazards of anger is discussed first by analyzing the risks of bottling it up, and then the dangers of expressing it aggressively. The possible pitfall to avoid when choosing this essay organization is sounding too descriptive and lacking cohesion which one can successfully achieve by linking the two subjects under analysis. To stay clear of this mistake, it's essential to state both subjects and the criterion for comparison in the introduction. In this way, the reader gets a clear picture of what the essay is about and has no problem reading it since it doesn't involve switching back and forth between subjects. The compare and contrast essay examples we provided are meant to serve as a guide on how to write this type of essay and how to organize it to read smoothly. Before submitting the final version to your teacher try to take a step back and reread it in an hour or two with fresh eyes. Sometimes, this brings objectivity and makes it easier to detect the possible mistakes and flaws of logic or organization. Should you, however, require any more assistance, do not hesitate to contact a writing service and have professional writers help you with your assignment.